The countryside in our little bit of Chianti, is fairly quiet at present. The sound of vines being snipped and the relentless muted conversation of the contadini (farm workers) drift up from the steep vineyards below us and some distant woodland maintenance has started, opening up new vistas that we regulars can enjoy on the way to coffee in Fiano. Most of the land around us, other than the olive grove immediately below our home, belongs to the Fattoria Villa Bacio. It is quite a vast area and every season offers up new jobs to be done on the land and in the gardens. For sometime we have seen a youngish man, whom we think is the son of Villa Bacio, in charge of the workers and I have been struggling to think who he reminds me of. 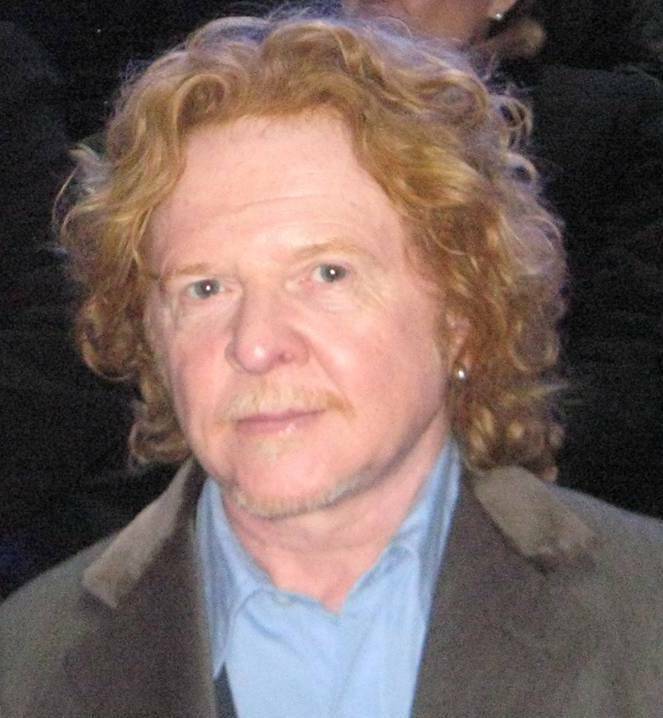 Then it hit me, he is the spitting image of Mick Hucknell, former lead singer of Simply Red! 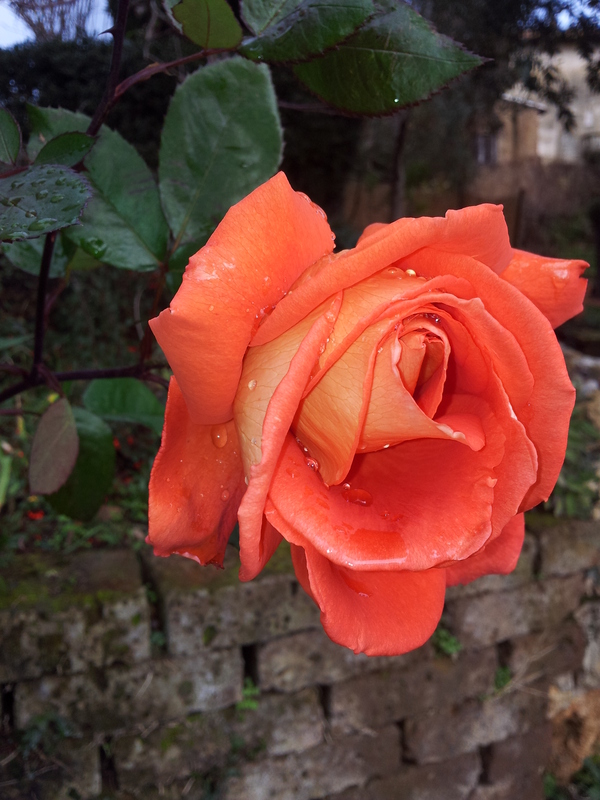 Beautiful January rose in our garden. In our garden we currently have a most beautiful January rose and here is a picture. We inherited lots of English roses that are easily identifiable by their strong perfume. This one is only slightly perfumed, so if anyone can identify it, do let me know. I am completely in love with my new Kindle, which my man bought me for Christmas. I would never have believed that I could be persuaded away from my beloved books to reading an electronic gadget. However, when I tell you that I have just downloaded the complete works of Charles Dickens (60 volumes) for just £1.27p, there is no way I can argue against it. Reading is very important if you are a novelist, not just for the pleasure, but also for plot ideas and creative writing. I am also teaching myself chess and have beaten the Kindle several times. Mind you I am currently on the first level, so time will tell. My man is now on a serious diet which also means no alcohol, apart from the weekend when he enjoys a couple of nice Chiantis with his lunch and a light aperitivo before supper. I am doing my very best to do the same, but I cannot cook lunch without a couple of glasses of wine and loud rock music to keep my spirits up. You may have noticed, that I rarely mention food, other than when visiting a ristorante; this is because I am not a great lover of cooking. I know, most of you will throw your hands up in horror, as my own daughter does. However, I do cook and only because my man does not. This is not a complaint, he does just about every other job around the house and garden, including his own ironing! In Fiano, where we usually take our morning coffee, he is currently forgoing his sweet pastries, so his face is a little on the long side. The poor thing has also had to contend with a sore throat, which I’m sure is due to the lack of a soothing glass of vino. On Saturday mornings, the locals we do not see in the week, arrive at Laura’s bar/alimentari in their customary smart tracksuits and quilted jackets. This last Saturday was also black woolly hat day, no newspaper delivery and everyone talking about the previous day’s disasters. (Friday 17th, which is considered very unlucky in Italy) When the man is a little grumpy he comes out with his best gems and this time, in referring to a gossiping black hatted, grey track-suited lady in high heels he commented, ‘I bet she’s been storing up her conversation all night!’ Don’t we just love him. On Sunday morning we headed off to Montespertoli for an aperitivo, despite the rain, and tucked into the corner of the tiny Bar and Pasticeria Fiorentina, where everyone was looking forward to Florence winning their latest football match. 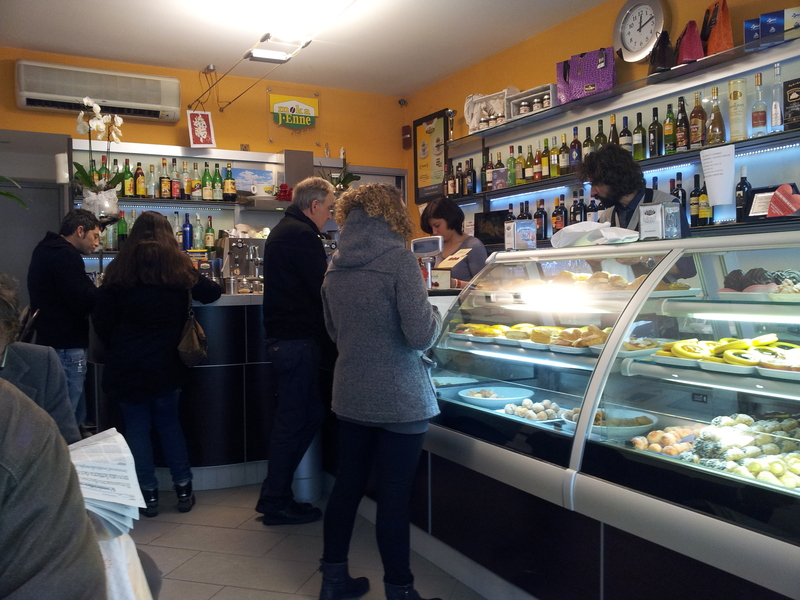 The atmosphere in the town is always affected by the local football (calcio) results! I will bring you an update on our idol, Silvio Berlusconi next weekend as I must crack on with ‘The Bolivian Connection’, where my heroine Joanna Wilde, is about to check out of her hotel in La Paz and head for her evil father’s former mountain home, known as ‘The Castle’, for the formal reading of his will…..
Beautiful description of a lady’s country life. And Lorenzo looks like Mick Hucknell???? Ciao Paola, so nice to know that you are following my blog. A new one goes out every week! Yes, he is the spitting image of Mick Hucknell, thank you for letting me know his name, as we have never met the owners of Villa Bacio. Is Lorenzo the son? It seems everyone I talk to is on a diet at the moment…maybe I should take note! Enjoy your relaxed week and I have to say my hubby loves his kindle too (however, always told me he didn’t want one. It’s a good thing I don’t listen all the time). Ciao BI, Giving up or dramatically reducing the wine consumption is making the difference. Also, one needs to be kind to the liver and kidneys from time to time. Glad your man also loves his kindle. Maybe it is Mick H…I know that he speaks perfect Italian! (Not sure why I know that but must have seen him interviewed or something! Ciao, Thank you for your comment. No, the guy we see regularly turns out to be Lorenzo, who works in the Fattoria next door. Yes, we have a few celebs with homes in Italy, Sting has a villa about an hour away! Not meaning to drop any names of course!